Not since Clifford Geertz’s “Deep Play: Notes on the Balinese Cockfight” has the publication of an anthropological analysis been as eagerly awaited as this book, Terence S. Turner’s The Fire of the Jaguar. His reanalysis of the famous myth from the Kayapo people of Brazil was anticipated as an exemplar of a new, dynamic, materialist, action-oriented structuralism, one very different from the kind made famous by Claude Lévi-Strauss. But the study never fully materialized. Now, with this volume, it has arrived, bringing with it powerful new insights that challenge the way we think about structuralism, its legacy, and the reasons we have moved away from it. In these chapters, Turner carries out one of the richest and most sustained analysis of a single myth ever conducted. Turner places the “Fire of the Jaguar” myth in the full context of Kayapo society and culture and shows how it became both an origin tale and model for the work of socialization, which is the primary form of productive labor in Kayapo society. A posthumous tribute to Turner’s theoretical erudition, ethnographic rigor, and respect for Amazonian indigenous lifeworlds, this book brings this fascinating Kayapo myth alive for new generations of anthropologists. Accompanied with some of Turner’s related pieces on Kayapo cosmology, this book is at once a richly literary work and an illuminating meditation on the process of creativity itself. "This collection of published and previously unpublished papers on Kayapo cosmology by the late Terry Turner (1935–2015) offers a sustained analysis of a single Kayapo myth: “Fire of the Jaguar.” The book places the myth within the broader context of Kayapo society and culture, showing how it came to be both an origin tale and a “model for” childhood socialization. 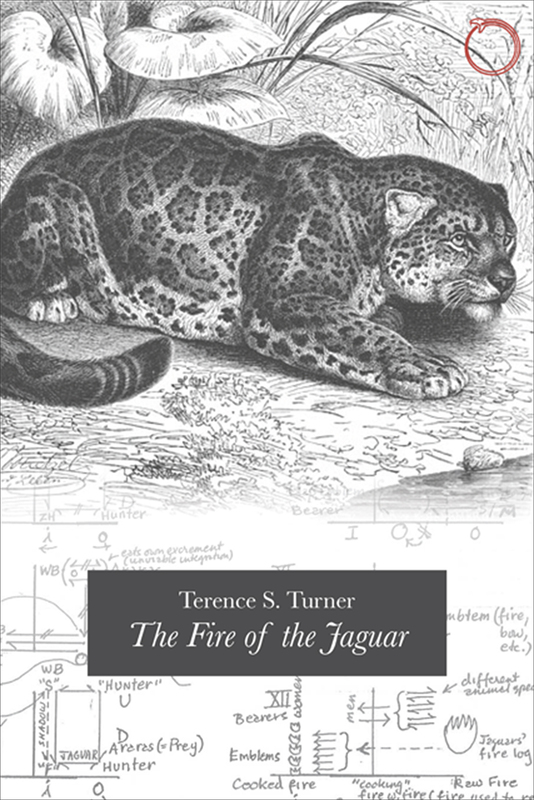 In a refreshingly honest, jargon-free foreword, noted anthropologist David Graeber writes that Turner’s main goal in examining the jaguar myth was “to see ‘mythic thought’ as a way that the highest level of self-organization appears, as it were, from below.” Put another way, Turner sought to understand myth, ritual, and social organization as generative processes of social reproduction. Based on five decades of fieldwork among the Kayapo of Central Brazil, the papers in this volume enable readers to glimpse how the tiniest of ethnographic details can be fused into a seamless whole in the life and works of a single scholar. For more than 50 years, Turner advocated a dynamic, materialist, action-oriented structuralism that was different from that made famous by Claude Levi-Strauss. Since Turner’s prose style can be impenetrable, this brilliant theoretical synthesis requires considerable commitment on the part of the reader. Highly recommended." "The Fire of the Jaguar reminds us why structuralism took the world by storm in its day, and why it is still relevant for today’s anthropology. Turner’s analysis of the famous Kayapo myth of the origin of cooking fire is brilliant, not least because it takes seriously 'the sophistication and power' of indigenous thought." "The Fire of the Jaguar has acquired over time the same mythical quality as its topic. I first heard a rumor of its existence 45 years ago, but ended up doubting that it would ever appear; yet here it is, and worth waiting for. In this masterly analysis of the Kayapó myth of the origin of fire, Terry Turner gives a new meaning to an old anthropological obsession, the myth as social charter; not as a prescriptive code, however, rather as a template structuring the dialectical relationship between institutions and dynamic processes situated in time and space. An intriguing challenge to Les Mythologiques, sure to foster an exciting debate." "The Fire of the Jaguar provides an in-depth journey into the writings of one of the greatest ethnographic theorists of recent decades. This highly anticipated, posthumous collection of Terry Turner’s outstanding essays is grounded in decades of fieldwork among the Northern Kayapó people of Central Brazil and will be eagerly received among anthropologists and other scholars concerned with understanding myth, ritual, and social organization as dynamic, generative processes of social reproduction, world-making, and historical transformation. The fire of the jaguar deserves a close reading by anyone wishing to understand how the tiniest of ethnographic details, powerful and innovative social theory, and uncompromising political activism can be fused into a seamless whole in the life and works of a single scholar."